A FIFTH EVENT could be added to the Mount Panorama calendar in the near future. Circuit owners, the Bathurst Regional Council have confirmed they are calling for expressions of interest from event promoters for an additional race meeting to be held on the storied 6.213km layout. Under the New South Wales Government’s Mount Panorama Motor Racing Act of 1989, five full track closures are permitted in a year to conduct motor sport activities. The circuit currently hosts four; the Liqui-Moly Bathurst 12 Hour, Hi-Tec Oils Bathurst 6 Hour, Supercheap Auto Bathurst 1000 and the Challenge Bathurst sprint / regularity event. 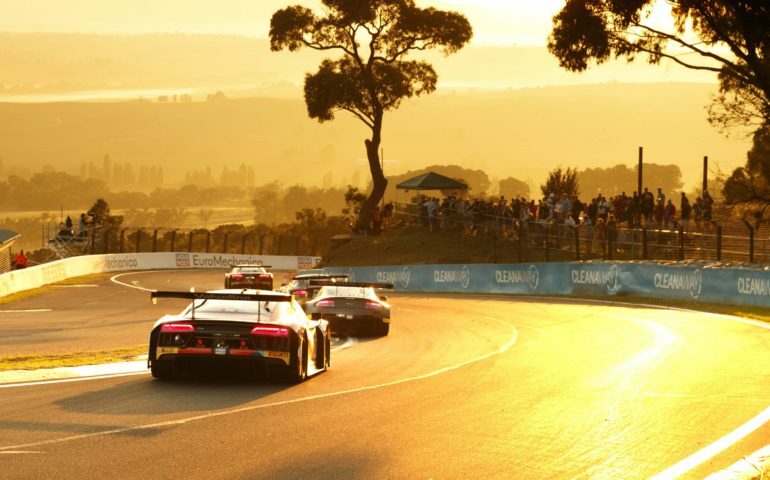 “Mount Panorama is an iconic motor racing venue and Council is keen to hear from experienced motor sport promoters about their ideas for a fifth motor sport event at the circuit,” Bathurst Mayor Cr Graeme Hanger said in a release issued by council on Friday. The format of a potential fifth event will unquestionably create plenty of debate, given the broad spread of events currently held at the circuit. With the 12-hour, 6-hour, 1000 and Challenge Bathurst each catering to their own niche’ market, a further stand-alone and unique event would seem to be the logical progression towards a fifth meeting. The circuit is an ideal location for a major historic event that could take a similar form to the annual Phillip Island classic held in March each year. That event regularly attracts more than 400 competitors and thousands of spectators each year and is the largest of its kind in Australia. Whether Historic Racing could support another event of that scope, given an already busy schedule, would be a different matter, though the draw of obtaining hard-to-find track time on Mount Panorama would be a massive lure for competitors across Australia. The last event of that style to be held in Bathurst was the ‘Festival of Sports Cars’ held between 2008 and 2010. It’s also not known if the new promoter would be required to co-promote with the Council, or work independently. Currently, Council has a stake in three of the four events held at their circuit. While the Supercheap Auto Bathurst 1000 is entirely promoted by Supercars’ Events arm, they and the council collaborate on February’s 12-Hour, which remains partly owned by the city. Easter’s upcoming Hi-Tec Oils Bathurst 12 Hour and Challenge Bathurst in November is a similar collaboration, between Council and James O’Brien’s Yeehah Events. What do you think? What would you like to see as the fifth event to be held on the most famous bit of road in Australia – keeping in mind that two-wheeled activities are ruled out until the new, full-time circuit opens. Let us know by jumping onto Facebook or Twitter (@theracetorque) and having your say.